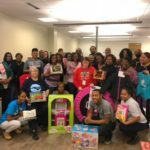 The Blue Cross and Blue Shield of North Carolina annual holiday initiative know as Share your Holiday, is a program that allows employees to sponsor community members around the state. 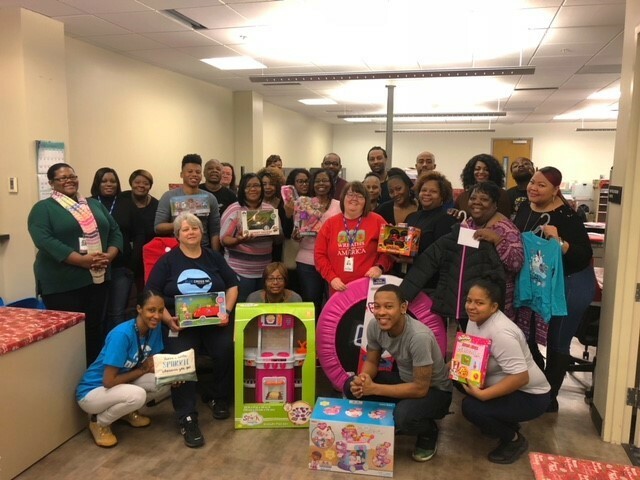 It is a wonderful way to engage many employees, various community partners, and to join in the holiday fun. It is always one of my favorite events. Each year, our partner organizations send me client profiles. I condense the information to distribute to employees to make it easy to read and select the person or family they would like to sponsor. One profile struck me especially hard this year. 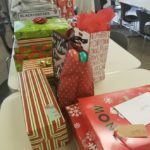 This year, as I am scrolling through the pages, I notice a 16-year-old boy that is in foster care. He only asked for gift cards so I looked through the profile to see if I could gather more wish-list information. I go to the top of the page and I view the address. It looks familiar. This teenager’s foster mom happens to live in my apartment complex on the other side of town from many of the other clients. Talk about hitting close to home. This individual is in my own neighborhood facing circumstances that will likely hinder him from having the holiday of his dreams. I stopped in my tracks when I saw this and that is when I decided that I needed to sponsor this young man. 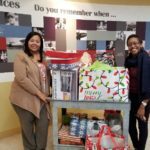 Over 50 Blue Cross NC employees opened their hearts and wallets this year to sponsor more than 100 community members. 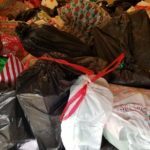 These efforts led to truckloads of donated gifts, wish-lists fulfilled and smiles shared. This year, share your Holiday with somebody else, pay it forward and be generous. Whether that means adopting or sponsoring a family or animal, financial donations, or volunteering your time if you have the means to do this, do it. It will impact lives around you which help make our community a better place to live for everybody. You never know, one of these people that you help could be in your neighborhood, too. Nicole is a Community Relations & Communications Specialist Associate at Blue Cross NC. She is passionate about connecting employees with the community. She comes from Colorado but has fallen in love with North Carolina.